Newsletters are still one of the best ways to keep your readers regularly informed about everything that happens on your website or blog. 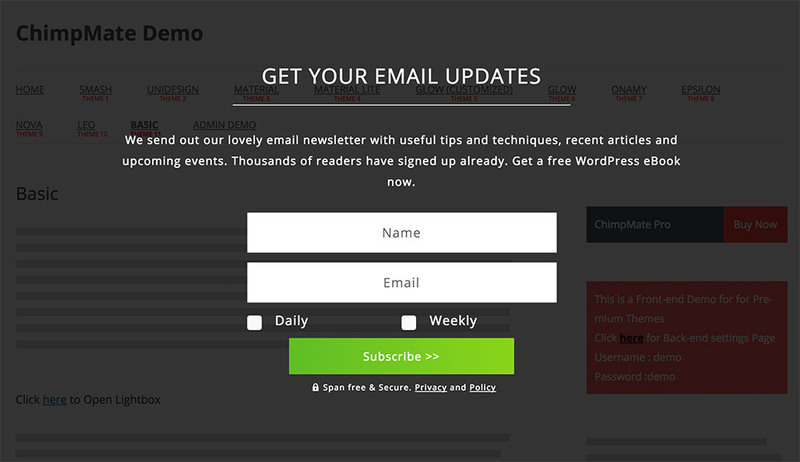 With WordPress there are fortunately very good options to easily integrate a newsletter form on your website. However, we would definitely recommend using an external newsletter service rather than purely a WordPress solution. Our favourite is MailChimp, which also happens to be the largest provider. With MailChimp up to 2,000 subscribers and 12,000 emails per month are free. Beyond this you have to pay for the service (see overview of prices). Alternatives to MailChimp are Campaign Monitor or the German provider CleverReach. There are some plugins in the WordPress plugin directory with which you can build up an email list directly without a newsletter service. However, this has some disadvantages. For example sent mails tend to end up in spam instead of in your subscribers’ inbox as desired. The newsletter services also offer advantages such as mobile-optimised email templates and you do not run the risk of exceeding your email limit. You can also use the statistics and analytics tools to track the success of your newsletters. For example, you will receive a detailed report of how many readers have opened your email campaign and you can compare the success of your different newsletters. The plugin we use most is MailChimp for WordPress. If you only want to integrate a single form via a widget on your website, the plugin is completely sufficient. All you have to do is link your MailChimp account to an API key in the WordPress settings. You can find an API key in your MailChimp account under Profiles / Extras / API Keys. We use the Easy Forms For MailChimp plugin on the Elmastudio website, as we can use several different newsletter forms with this plugin. Hence we can create a form in English and a form in German, then integrate both via a widget. In combination with the Widget Logic Plugin we can then display the two widgets in the respective active language. This is of course a bit of a special case, but for all those who want to use more than one form, the plugin is a great alternative. There is a free version of ChimpMate (via WordPress.org) and a premium version (ChipMate Premium). ChipMate offers several more features than the other two plugins. Above all, you can make your form appear in a popup window, which is very popular with many users. Alternatively, you could use the small plugin Popups to display the MailChimp For WordPress plugin in a popup window. If you use an online store with WooCommerce, you can also use the WooCommerce MailChimp plugin. This means you can include a checkbox before the purchase, via which buyers can also subscribe to your newsletter. To my knowledge it’s not allowed to subscribe buyers automatically to an online newsletter in Germany, even if this would be possible with the plugin. A common alternative to MailChimp is Campaign Monitor, plus there is also a Campaign Monitor WordPress plugin. With CleverReach (German provider) you get up to 1,000 emails and 250 receivers free of charge per month. You can also use the CleverReach WordPress plugin for integration. I hope these tips will help you set up a newsletter in WordPress. As I said, there are obviously a lot of newsletter services – let me know which one is your favourite provider. If your email list grows enormously, the newsletter service will of course no longer be completely free of charge. However if you have a large readership, it is worth investing in a professional and reliable provider. Also the user interface for creating newsletter campaigns is very pleasant via a provider like MailChimp, making it fun to write new newsletters. It is also easy to share newsletters via social media, which is another advantage. 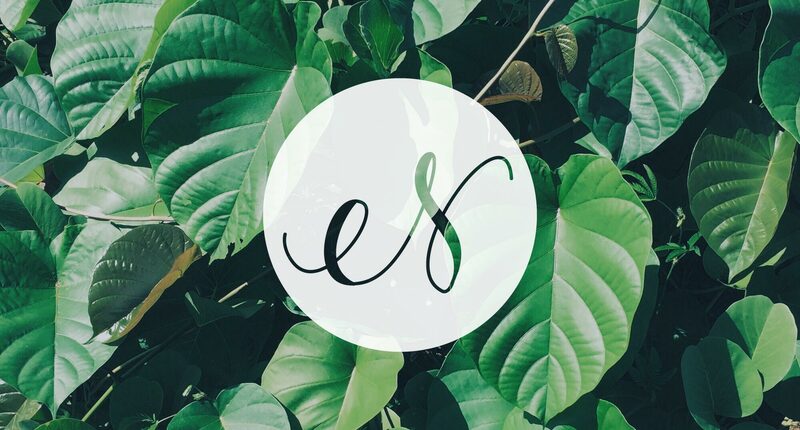 Do you have more tips and inspiration for creating a newsletter email list? What are your tips for writing good newsletters? I look forward to your feedback and insight, just leave a comment below.